Dental hygiene is important for dogs, as an alarming percentage of household pets suffer from periodontal disease. 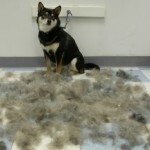 While many veterinarians recommend regular tooth brushing and dental cleanings, few owners provide routine dental care. Here, Greenies Dental Chews will be reviewed. Greenies Dental Chews are green, tooth-brush shaped treats that are designed to clean teeth and freshen breath. The treats are dense, yet soluble, and require chewing in order to completely break down. This chewing action controls plaque and tartar buildup. The ingredients found in Greenies Dental Chews include wheat flour, wheat protein isolate, glycerin, gelatin, oat fiber, water, lecithin, poultry flavor, minerals, choline chloride, dried apple pomace, fruit juice color, vitamins, and turmeric color. 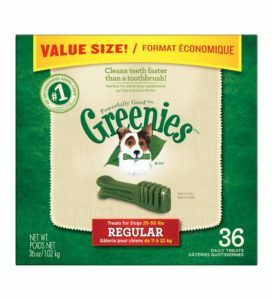 The benefit of Greenies Dental Chews is that this product maintains the health of a dog’s mouth while also doubling as a high-value reward. For instance, when I adopted my beagle mix, Sadie, from the shelter, the veterinarian estimated she was 6 years old based on the condition of her teeth. However, after 6 months of receiving a Greenie once per day, the veterinarian was amazed by how much Sadie’s teeth improved, and felt that she was actually much younger. Additionally, Sadie will do anything for a Greenie. Once, we took Sadie to a “Rock Solid Recall” obedience class, and the trainer suggested we bring a treat that was especially high-value for our dog. We brought a Greenie, which was a mistake. Sadie was so excited that she tossed the Greenie into the air, rolled on it, and was distracted for the rest of the class because she was so happy to see her favorite treat. Other benefits of Greenies include their acceptance by the Veterinary Oral Health Council, as well as the inclusion of necessary vitamins and minerals. 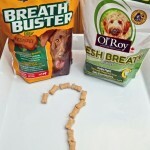 While the benefits of Greenies Dental Chews are diverse, there are also drawbacks. A few years ago, the company that produces Greenies was part of a class-action lawsuit that claimed the ingredients in Greenies were difficult for some dogs to digest. Since then, the Greenies formula has changed to make the treats more soluble. However, dogs that do not thoroughly chew their treats are not good candidates for receiving these dental treats. However, this product is great for dogs that require extra dental attention, but whose owners do not have the time or money to devote to regular tooth brushing or dental cleanings. While Greenies are not a substitute for professional dental care, they have been proven to help delay the buildup of plaque and tartar. There are numerous products in this product line. The “regular” version is best for dogs weighing 25 – 50 lbs, while other sizes exist for pets ranging from toy-sized to giant. Grain-free, low calorie, and senior formulations are also available. Similar products include Minties, Dingo Dental Sticks, and Dentastix. In our experience Sadie prefers Greenies. 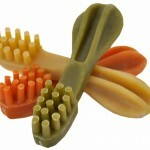 Ultimately, Greenies Dental Chews are a great way to provide your dog with a high-value treat that also cleans teeth. 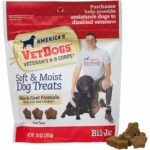 This product is not recommended for dogs that gulp down treats, but is wonderful for patient pups. «Boarding Kennel or Dog Sitter: Which is Best?